It’s the height of the tourist season, and it’s not just people who are hiking national parks, cruising the Caribbean, or ascending to the top of the Eiffel Tower. Garden gnomes are travelling along, sending pictures, postcards, and letters back home detailing their adventures. What? Did you really think that gnomes do nothing but spend all their time just standing around protecting gardens? They also attend annual conventions, like the GnomeCon in Savannah, Georgia (USA) and the one in Glenbrook, Australia. They appear in books, movies (Amélie, 2001), Gnomeo and Juliet (2011), Sherlock Gnomes (2018)), and video games. They’ve been the face of online travel agency Travelocity in television and print ads since 2004. And they even participate in politics, having represented the Social Democratic Party of Austria (SPO) in their 2014 campaign. Of the 20,000 gnomes holding SPO posters along roadways, 400 went missing. Were they forced to stand watch in strange gardens? Were they held captive by demented collectors? We prefer to believe that they were set free by the Garden Gnome Liberation Front and that they eventually found their way to either the UK’s Gnome Reserve & Wild Flower Garden or the Gnome Habitat USA in Auburn, California. Though gardens had been decorated with statues of mythological entities since ancient times, the garden gnome as we know it today appeared in the mid-19th century in the Thuringia region of Germany. Phillip Griebel, a maker of terracotta animals, is often credited with producing some of the earliest figures of small, painted, bearded men with pointy red hats. Garden gnomes soon spread throughout Germany to France, Great Britain, and beyond. By World War I, the fad had crested, and while the release of Walt Disney’s Snow White and the Seven Dwarfs in 1937 temporarily renewed interest in the figures, it was not until the tail-end of the 20th and the beginning of the 21st centuries that the fad came roaring back, stimulated by mass-media accounts of gnomes’ travel adventures and other pranks. Gnomes are typically one to two feet tall, though smaller figures have grown in popularity, and there are some specimens that are much, much larger. They’ve been made of plaster, concrete, plastic, resin, and other materials, and appear in a variety of poses and engaged in a multitude of activities from sleeping to smoking to fishing. Collectors especially prize old cast iron specimens and the traditional terracotta figures originally made in Germany. Prices for most pieces range from a few dollars to the low hundreds, but of a set of 21 Griebel gnomes originally imported in 1847 by Sir Charles Isham of Lamport Hall (Loddington, England), just one remains, and it is purportedly insured for £1 million! Gnomes, by Wil Huygen and Rien Poortvliet – Based on “scientific observation of the local gnome population in Holland. 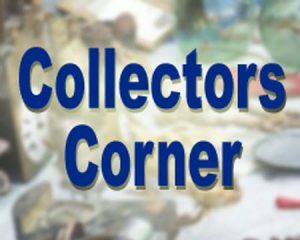 Garden Gnomes Collectors’ Concerns (Kovels Komments) – Interesting tidbit about terra cotta gnomes. Garden Gnomes, Handmade in Germany (Zwergli Home Page) – Site includes “How a Gnome is Born” “History and Facts” Picture Gallery. Lampy the Garden Gnome (Atlas Obscura) – All about the oldest, and most valuable, garden gnome known. Learn More About Collectible Gnomes (ThoughtCo.) – Includes a list of makers and makers’ marks to look out for. Woman’s $90K gnome collection may be the largest in the world (New York Post) – That is $90K spent to purchase the gnomes, not the total current secondary-market. Next Next post: Is It Time to Try Google Advertising? wish I could post my “Willey” He’s adorable and was a huge success at a selling event here in town on St Patty’s weekend – I definitely had to keep my eye on him as he had many an admirer.